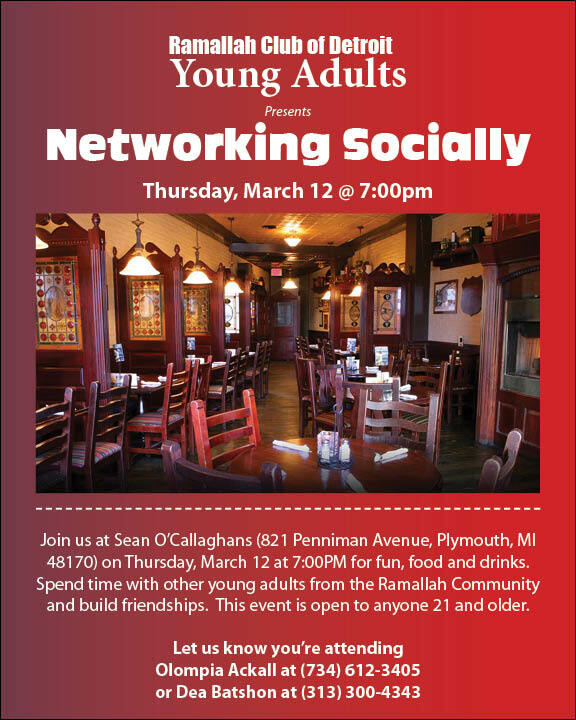 Join us at Sean O’Callaghans (821 Penniman Avenue, Plymouth, MI 48170) on Thursday, March 12 at 7:00PM for fun, food and drinks. Spend time with other young adults from the Ramallah Community and build friendships. This event is open to anyone 21 and older.